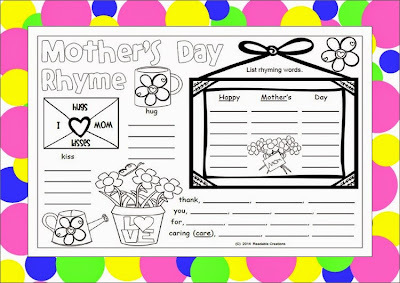 The Best of Teacher Entrepreneurs III: Language Arts - "Rhyming Word Fun Lists"
As well as Mother's Day, these rhyming worksheets cover a range of themes. 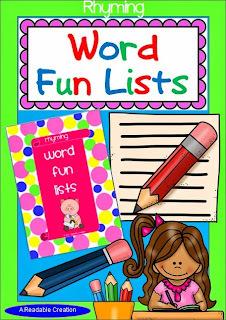 Including Australian theme versions, this resource is suitable for U.S., Australian, and British English teachers. Good rhymers make good readers! 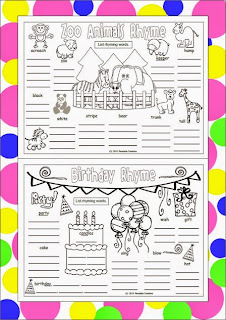 Rhyming is fun and educational.